The US is in a global struggle against radical Islam. It is still fighting a very bitter war in Iraq. The US is committing resources to rebuilding war-torn Afghanistan and defeat the resurgent Taliban. Several American airport carriers are in the Persian Gulf in the event of an Iranian missile strike against it or its allies. There is a huge potential for a conflict between Russia and the United States over Russia's military involvement in Georgia. And what country has Condie made her seventh trip this year to? Israel, of course! Bush and Condie seem intent on carving up Israel and literally having her implode, hopefully before his term ends. They are in a frenzied rush to create a terror state in Judea, Samaria and Gaza, evict hundreds of thousands of Jews from their homes and re-partition Jerusalem. Negotiations between Israel and PA continue at a "crazy" pace, agreement on dividing Jerusalem is "closer than ever," and U.S. Secretary of State Condoleeza Rice is pushing for a nearly-complete agreement on a Palestinian state in Judea and Samaria by January. So reports Aaron Klein of WorldNetDaily (WND). Secretary Rice, completing a visit to the region today (Tuesday), has been pressing Israel to sign a document by the end of the year that would divide Jerusalem. Rice says Israel must agree to a Palestinian state capital in Jerusalem - Israel's own capital - and a full Palestinian state in Judea, Samaria and Gaza. According to the agreement, Israel would withdraw from East Jerusalem, including the Old City (and the Kotel/ Temple Mount!) within 1-5 years. What is this obsession with pushing Jews out of their homes and creating a terror state in half of Israel? It seems that the only is that G-d is hardening the heart of the leaders of Edom to bring punishment upon them. Hurricanes are smashing apart the US Gulf, off-shore oil platforms, and natural disasters seem to be occurring each month. Whoever creates exiles in the Land of Israel will suffer exile a thousand-fold. Time's up. HaShem is going to destroy Edom for its cruelty towards Am Yisrael. Get ready! Of the most disgusting and absurd charges levelled against Israel is the charge of genocide. It is made particularly reprehensible by the term "Palestinian holocaust". The soldiers of the IDF are often slandered as "occupiers", "racists" and of course "Nazis". It is not uncommon to hear comparisons between Israel's defensive actions and the sadistic tortures of the Nazis. Unfortunately, in a world without a moral compass, any brutal act of anti-semitism can be legitimized. The Holocaust was unique in the annals of human history. Never before had mass murder been perpetrated so methodically and bureaucratically, and on such a widespread scale. The Germans used state-of-the-art technology to exterminate the Jewish people. Trains ran like clockwork from as far north as Norway and as far south as Greece to transport Jews to their deaths in death camps in Poland. The murder of the Jews served no political purpose, was not to gain their property and was not to settle an old tribal feud. It was a goal, equal, if not more important than winning the war against the Allies. In the last days of the War, when Hitler was given the choice between diverting trains to send supplies to the front or shipping Jews to the gas chambers, he chose the latter, despite the harm that he did to German soldiers. Half of the world conspired to murder every single Jewish man, woman and child while the other looked on in silence, deaf to the plight of the suffocating and burning Jews. Jews were brutalized in every way imaginable, thrown into cattle cars, chocked in gas chambers, subjected to sadistic medical experiments and then burnt in the ovens and crematorium, turned into bars of soap or had their skin made into lampshades. There is no parallel between the Holocaust and any other episode of racism, massacre or genocide in all of history. Taking a page write out of Goebbel's playbook, "Palestinians" and Arabs leaders now whine about a "Palestinian holocaust" (all the while plotting their own Final Solution to the Zionist Question). It is so evil as it turns the victims into the perpetrators. This strategy seeks to eliminate any sympathy the world still feels about its role in the Holocaust by pointing out that the Jews are no better, and besides, the same thing is happening to the "Palestinians". Israel turns in to the embodiment of evil, the state that emerged out of the Holocaust only to continue the Nazi legacy of hatred. This charge is so dangerous and hideous that it desecrates the memory of the 6 million Jews murdered by the Nazis by trivializing their suffering. Suddenly, everything is a Holocaust. When Israel shoots back at those who fire rockets from Gaza, this is a "Final Solution". When Israel stops weapon shipments into Gaza, it is a "concentration camp". Jews settling in Judea and Samaria is lebenspraum and IDF soldiers protecting them are SS officers. And when everything is a Holocaust, nothing is a Holocaust. The uniqueness of the Nazi genocide against the Jewish people is cheapened as Holocaust terminology become common place, and they are used against Jews by those who support Hitler's goals. It has been claimed that Gaza is the new Warsaw Ghetto. According to the lies, Israel has forced millions of innocent "Palestinians" into the tiny area of Gaza, shut it off from the world, cut off food and water supplies and is essentially reinacting the Nazi liquidation policies. Only in a mad world can this comparison hold. When the Nazis stormed in to Poland, Jews compromised over a third of the population of Warsaw. In 1940, over 440 000 Jews were confined into an area that was 4.5% of the size of Warsaw and surrounded by high walls with guards. 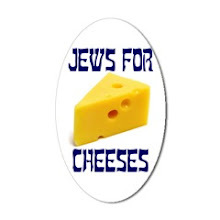 Jews were given 253 calories per day, 8% of what Germans were allotted. 300 000 Jews went from the train depot at Umshlagplatz to their deaths in the gas chambers of Treblinka and Belzec. Finally, on January 18, 1943, the 56 000 Jews of the Warsaw Ghetto decided to resist the Germans rather than go to their deaths. For over three months, these Jews held out. The final attack came on Passover 1943 when the Germans systematically burnt down the Ghetto, and any Jew they could find, liquidatting the Ghetto and blowing up the Great Synagogue on May 16, 1943. The situation in Gaza cannot even be equated. In 1967, Israel liberated Gaza from Egyptian occupation, in a defensive war in which it was attacked by 6 neighbouring countries. It brought with it increased living standards. Slowly, Jews began to return to Gaza and built new life where there was only squalor and destruction. In the summer of 2005, Israel decided to withdraw the 7 000 Jews living in Gaza and give the Arabs a chance at self-determination. Instead, they voted in a terrorist organization and began to rain rockets down on Israeli cities. Like any sane nation, Israel has cut off (mostly) weapons supplies and other non-essential goods going in to Gaza in the hopes of stopping the rockets. Some Palestinian civilians have been killed in collateral damage as Israel has tried to stop terrorists, yet this can be expected in war. Arab terrorism is not resistance but aimed at the destruction of Israel, at killing and maiming as many innocent Jews as possible. 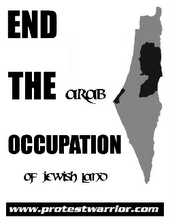 Since the creation of Israel, the Arabs have fought against it and tried to destroy it to no avail. There is no Israeli policy of extermination towards the Arabs and such a charge is as libelous as claiming that Jews use Christian babies' blood for the Passover matzot. 60 years after the Holocaust, as the survivors are dying out, many are beginning to forget its terrible legacy of anti-semitism and hatred. Anti-semitism has proven to be one of the most virulent forms of hatred on Earth and seems to change forms to suit every age. Once upon a time, Jews were christ-killers and enemies of G-d. In the modern era, Jews were said to be of an inferiour race. Now, anti-semitism poses as anti-Zionism, with all the traditional stereotypes involved. Israel is said to control the world, to wield demonic power and is dehumanized constantly by its foes. Attacks and slander against it cannot go unchallenged. We cannot let our cries of 'Never Again' ring hollow. 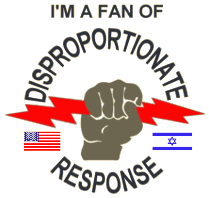 Hatred towards Israel and Zionism will not be tolerated. 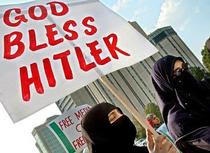 It is our duty to ensure that the Final Solution to the Zionist Question is never implemented by our peace-loving and tolerant Islamic neighbours. Who is like Your people, Israel, one nation on the Earth? Such a foolish nation. Such a beautiful nation. Such a good-hearted and merciful nation. Such a stupid nation. 100 years ago, the Jews, fed up with their puny shtetl existence, championned the cause of Communism which promised to spread freedom and equality around the world. They broke down the shtetl walls, cut themselves off from their traditions and raised high the banner of the Worker's Revolution. The Jews dedicated themselves to creating the utopian world of the Worker's Paradise in which exploitatation, hatred, inequality and corruption would disappear forever. Not bad for the heirs of the Prophet's promise that "they shall beat their swords into plowshares, and their spears into pruninghooks; nation shall not lift up sword against nation, neither shall they learn war any more." 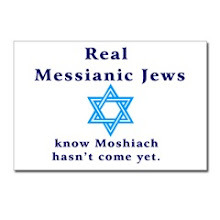 (Isaiah 2:4) Ironically, the Jews soon found themselves to be the first victims of the Communists. Under Stalin's brutal hand, the Jews suffered intense persecutions and oppression. 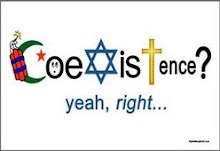 Judaism is a particularistic religion with a universal message. The laws and commandments of the Torah are the unique property of the Jewish people, one nation out of seventy. And yet, the Torah demands that all of G-d's creations abide by basic laws of morality. It promises an era of peace and prosperity for all nations. The Temple in Jerusalem will be the center of pilgrimage for all peoples to come and worship HaShem, the G-d of Israel. The longed-for age of world peace can only come about once Israel is firmly planted in her land and living by the laws of the Torah. The prophecies of being a "light unto the nations" will only be fulfilled when Israel lives as an example to other nations, in the Land of Israel and follows G-d's commandments. Many Jews, either out of misplaced goodness or foolishness, seem to interpret the commandments to be merciful and kind at the expense of the Jewish nation. When Israel defends itself against attacks by its Arab neighbours, they are quick to cite the Torah's commandments to be forgiving. Whenever Israel retaliates, they quote psukim that command us not to take vengeance against our enemies. Having lived in exile for so long, many Jews are uncomfortable with the idea of strong Jews. They have grown much more accustomed to seeing weak and crying Jews, rather than Jews making their enemies cry. 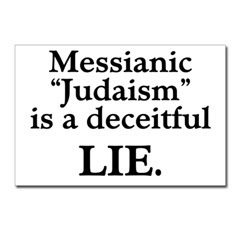 Because of gentile influences in the exile, the Torah's concept of mercy has been perverted and we have been left with a flase mercy, the mercy of fools. The Sages say that we must imitate G-d; just as He is merciful, so must we be merciful. This also means that just as He defines mercy, so should we define mercy. 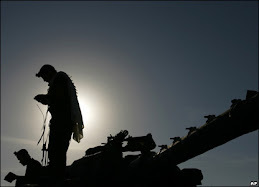 The Midrash asks why the Torah uses the words: "when you go to war against your enemies". It explains: "Fight against them as enemies. 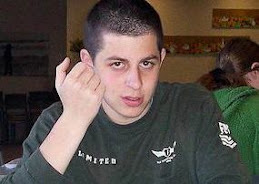 Just as they would have no mercy on you, have no mercy on them.". No mercy? Certainly that is not the Torah's way. For its ways are ways of pleasantness and all its paths are peace. 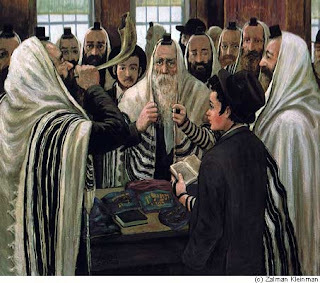 How can such a cruel and harsh passage square with the Torah's commandment of "'You shall not take vengeance, nor bear any grudge against the sons of your people" (Lev. 19:18). The key to this passage is the context, the words "against the sons of your people". It is forbidden to take revenge against fellow Jews in personal matters. Whoever was wronged by a fellow Jew must forgo his anger and forgive him. However, against non-Jews who threaten the pride of Israel, we must certainly take revenge. Our sages said (Berachot 33a), "Shall we say that even revenge is great because it appears between two names of G-d? 'A G-d of vengeance is the L-rd' (Psalms 94:1). Rabbi Elazar responded, 'Indeed. Where revenge is necessary, it is a great thing.'" When a Jew takes revenge against the wicked, (Psalms 58:11-12): The righteous man shall rejoice when he sees the vengeance. He shall wash his feet in the blood of the wicked. Men shall say, "Verily there is a reward for the righteous. Verily there is a G-d Who judges on earth." By avenging the pride of Israel, G-d's pride is raised up and proven to the world. 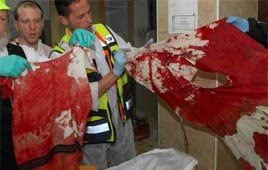 By having mercy on the cruel and wicked terrorists and those who wish to destroy the nation of Israel, we permit them to continue murdering and maiming innocent Jews. Israel's physical return to the Land heralds G-d's kingdom on earth and vindicates the enemies of Israel who taunted her that her G-d had forsaken her. In essence, the State of Israel, despite all of its flaws and heresies, proves that G-d still loves His people and will yet redeem them. That is the reason for the urgency of the settlement of the Land of Israel. Our enemies who oppose Israel's return must be wiped out. The Sages say that he who has mercy on the cruel will eventually be cruel to the merciful. There is no room for misplaced mercy which can only harm Jews in this struggle between Israel and the nations. Have faith, Israel. HaShem will take His harsh vengeance against the nations. And then we will sit in peace and live in His light. 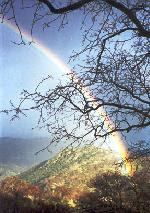 The Golan was already RETURNED!! Ehud Olmert, in his dillusional fantasy world in which he is much more popular than mosquitoes and ear infections, still entertains the idea of relinquishing Israeli control over the Golan Heights and giving it to Syria. Surrendering the Golan Heights would be a step towards peace with Syria and as we all know, the concept of "land for peace" has worked brilliantly whenever Israel has applied it. I recently took a 4 day tour throught the Golan and would like to share some reasons why giving up this valuable piece of land would be suicide for Israel. Security: Americans, Canadians and even Europeans, who all live in coutries blessed with wide open spaces and great amounts of living room cannot fathom Israel's predicament. If Canada were to give up all of its territorial holdings West of Toronto, a person living in Montreal would barely be affected. 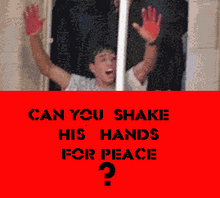 They carelessly wave their hands and expect that Israel give up Judea, Samaria, the Golan, Jerusalem, etc. Let them eat cake. Everybody can live in Tel-Aviv. Little do they realize that in reality, Israel is so small that if it were to be dropped in the Great Lakes, the waters would barely rise a few centimeters. It is about the size of a frozen lake in Manitoba. There is simply no distance between Israel and its friendly neighbours. One can stand on a hill in Eilat and see clearly into Jordan, Egypt and Saudi Arabia. In the Golan, every mountain overlooks Lebanon and Syria. Giving up this vital place would bring Syrian and Hizbullah guns even closer to Israel's heartland. From atop Mount Hermon, one can see with a pair of binoculars directly into homes in Damascus. By retaining control over the Golan, Israel wields enormous deterrance power over Syria, a regime that is wholly unfriendly and that does not seek Israel's welfare. When Syria controlled the Golan, from '47 to '67, Syrian snipers would shoot Jewish farms and houses in the Galilee. Israel must learn from history and never allow such a situation to occur again. The Golan is crucial to Israel's security, to its military capacities and power of deterrance and to give it to the Syrians would be suicidal folly. Demography: Ariel Sharon's argument in support of the Disengagement plan from Gaza was that 7 000 Jews cannot rule over a million Arabs. A similar claim is repeated with regards to Judea and Samaria, that it is majority Arab and it would therefore be wrong to retain control over it. Such a thing cannot be said about the Golan. 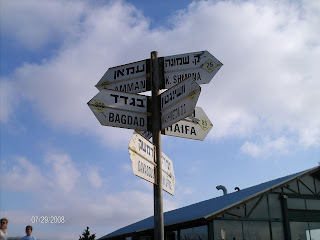 The Golan is home to over 30 000 Jews, a few thousand Druze living in 5 northern villages, and absolutely no Arabs (did I mention that the Golan is one of my favourite places in Israel?). 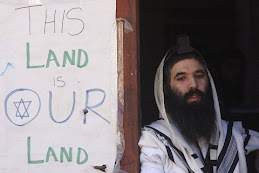 The Golan is firmly Jewish. Economy: The Golan has a tropical climate and is perfectly suited for many types of fruits that cannot be grown in Israel's center, due to the occasionnal chills in the winter. It is full of blooming mango, banana and other exotic fruit orchards. A very significant portion of Israel's produce comes from the Golan. 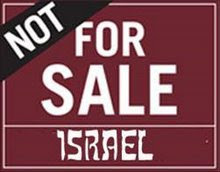 It has a booming industry and every city and town has signs offering tzimmers, lodges for rent, at cheap prices. Israeli tourists flock to the Golan, whose vegetation and weather is very different from the south of the country. Uprooting the Golan's 30 000 Jews and destorying the flourishing industry would be a great blow to Israel's economy, one that is certainly not worth a false "peace" with a country that has not launched a shot at Israel since '73. History: All of the countries of the Middle-East were artificially carved up by the colonialist powers of Britain and France in the 1920s, 30s and 40s. Syria was created out of several ethnic groups and French Mandatory rule ended in 1947. From 1947 until 1967, Syria ruled the Golan. Keep in mind that before 1947, there was no such country as Syria. For those who can do basic math, Syria's hold on the Golan lasted for 20 years. It has been over 40 years since Israel liberated the Golan, capturing it in a defensive war which Syria initiated. Seeing as Israel has controlled the Golan for twice as long as Syria, it seems rather ridiculous to speak of "giving the Golan back". Of course, Israel's connection to the Golan goes back much longer than 40 years. After the Destruction of the Second Temple in Jerusalem in 70 CE, the Jewish center of life shifted to Yavne in the Galilee and then eventually into the Golan. Much of the Jerusalem Talmud was in fact written in the Jewish communities of the Golan. 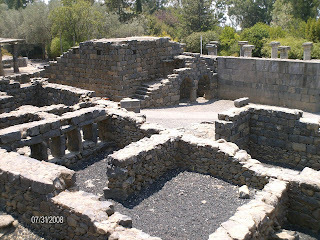 Over 22 ancient synagogues have been excavated in the Golan. Two thousand years ago, long before the Ishmaelites ever burst out of the Arabian peninsula, before a certain Muhammad had an epiphany in a cave, Jews were already praying towards Jerusalem, praying to be redeemed. In 67 CE, the Romans, under the command of Vespasian, were brutally supressing the Jewish revolt in Judea. They besieged the large Jewish fortress city of Gamla, in the Golan mountains, a city of 9 000, swelled with refugees from all over Judea. Afetr a lenghty siege, the Romans burst through the walls and slaughtered 4 000 of the defenders. In desperation, the 5 000 remaining inhabitants flung themselves into the deep ravine on the side of the city, committing suicide rather than fall into Roman hands. The deep commitment of thse brave Jews not to fall into enemy hands and to preserve the freedom of Israel deeply inspires us. Gamla will not fall again!